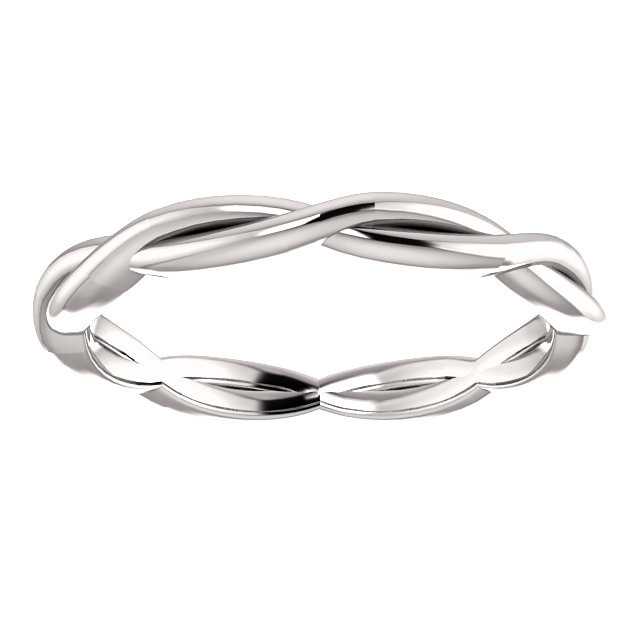 If you are looking for a wedding band that takes the cake, then you can't go wrong with the braided infinity wedding band ring in 14K white gold from Apples of Gold Jewelry! 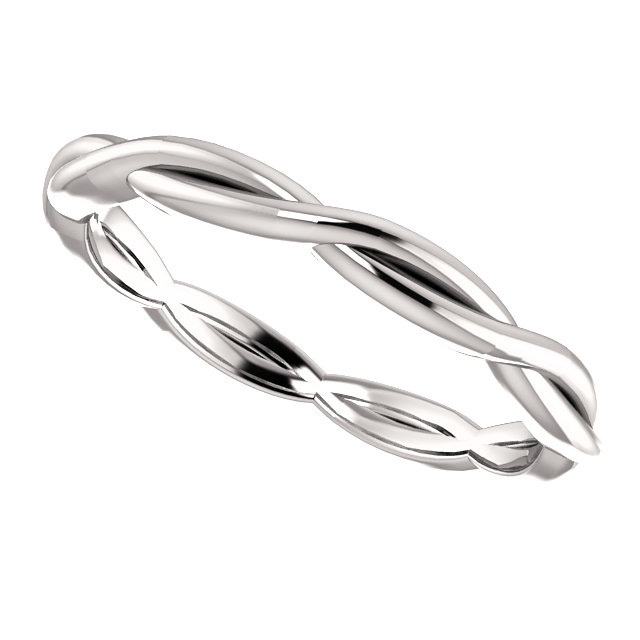 This beautiful wedding band features a twisting braided design all the way around the band, which measures approximately 2.75mm in width. 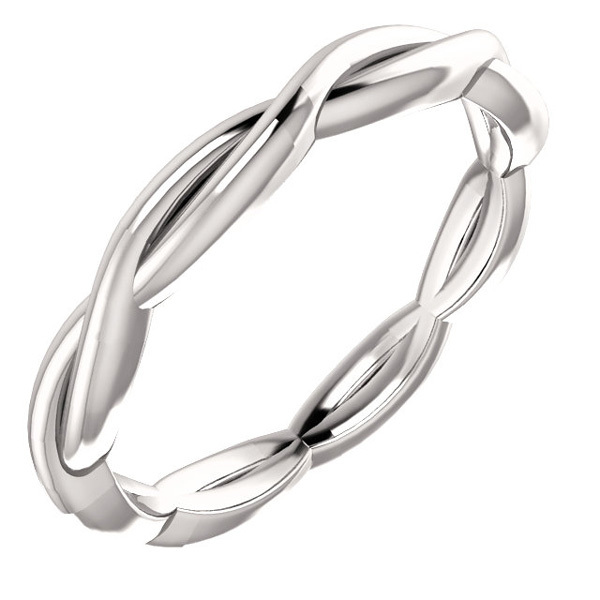 The beautiful wedding band is a great piece to wear alone or with a diamond engagement ring, but either way the 14K white gold and the braid design make a lovely statement. 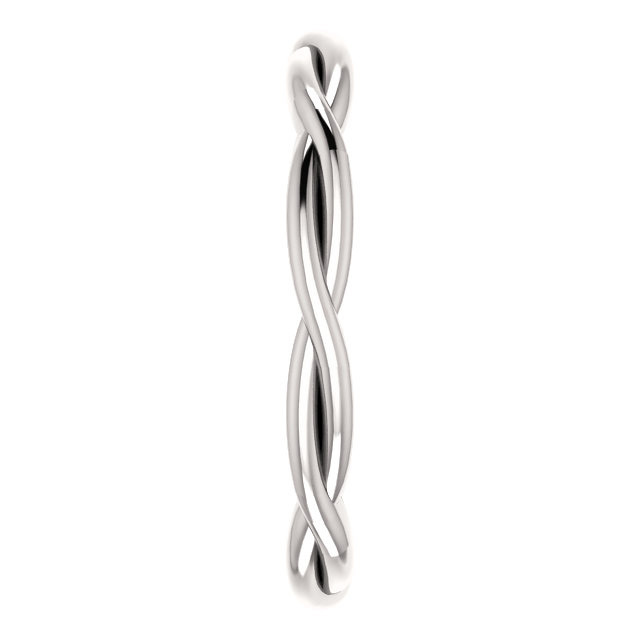 We guarantee our Braided Infinity Wedding Band Ring in 14K White Gold to be high quality, authentic jewelry, as described above.